Canine Valley Fever is approaching epidemic proportions in the American desert southwest region. 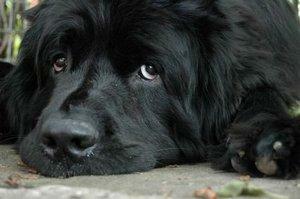 Find out more about this disease and how it can affect you and your dog. What Is Canine Valley Fever? Canine Valley Fever (CVF) is the common name for Coccidioidomycosis, a fungal infection that can affect both people and their dogs. The infection is contracted by inhaling cocci spores that have been stirred up by disturbing the soil. Once airborne, the spores can enter the lungs, and it's there that they begin their life cycle. Once a spore enters the lungs, it begins to morph into a multi-cell unit known as a spherule. Upon reaching maturity, the spherule bursts just like a seed pod, dispersing a batch of tiny endospores that in turn will develop into more spherules. The process repeats itself over and over. In a primary case of CVF, the infection is contained to the lungs, and is sometimes overcome by the immune system. In a disseminated case, the spherules reproduce unchecked and spill over into the bloodstream where they can migrate to other organs in the body. Wherever they lodge, they continue to reproduce themselves, leading to massive infection. As previously mentioned, CVF can infect canines and people, but in most cases the infection remains primary with mild symptoms that eventually taper off. However, certain groups are at higher risk for progression to disseminated CVF.Dogs generally contract this infection at a far higher rate than people because their noses are so much closer to the ground. Add to that an inclination to dig and snuffle, and you have the perfect transportation system for cocci spores to enter a dog's nose and set up housekeeping. From there, it usually takes about three weeks before signs of the infection become noticeable. These high risk groups are mirrored in humans. The good news is that CVF is not contagious in any respect. One dog cannot give the infection to any other dog or person, and no person can transfer the infection to any other person or canine. Primary CVF presents fairly mild symptoms that are similar to a light case of the flu or a cold. As the infection progresses to disseminated status, the joints are affected and the dog becomes lame. Your veterinarian can use a number of diagnostic tools to confirm the presence of Canine Valley Fever. Without treatment, many dogs will succumb to the infection. However, there is no immediate cure for CVF, and treatment can last a year or longer. In cases where the spherules have invaded the brain, a dog will need to be on medication for life, so the key to successful treatment lies in early detection. Treatment of the infection usually consists of putting a dog on an anti-fungal medication such as Diflucan or Nizoral. The medicine is easily added to the dog's food, and is typically prescribed at a twice daily dosage. The medication can only be discontinued after follow up blood tests show the blood to be free of CVF antibodies. Dogs generally respond very well to this treatment, and symptoms can improve dramatically within the first few weeks of medication, although some dogs do experience side effects such as vomiting and loss of appetite. The really good news is that dogs that live through the infection and complete treatment are immune to the spores the rest of their lives. While there's no way to completely prevent your dog from getting CVF, you can lower his risk of contracting the disease by keeping him out of the dirt as much as possible and discouraging him from digging.